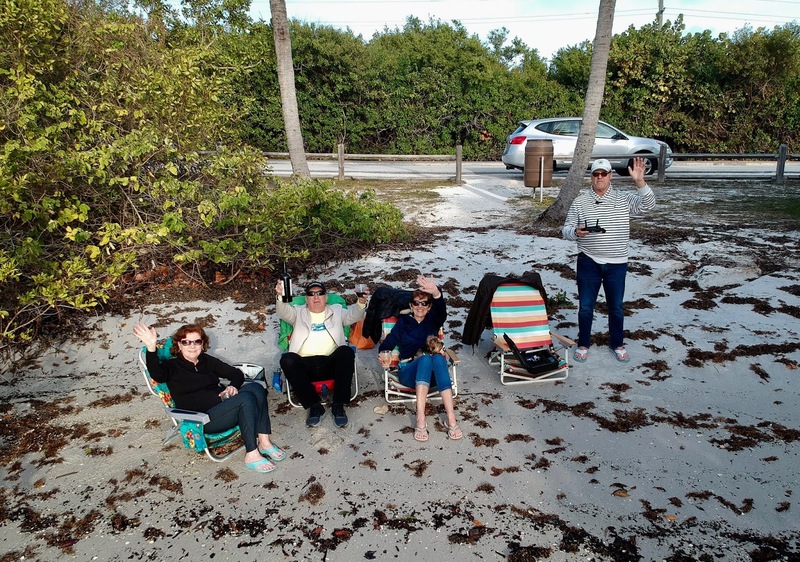 A Bob's Life: What do you do on a Friday Evening in Florida? What do you do on a Friday evening in Florida when it has been cool all day? Go the the beach for Happy Hour, of course! Yes, we had to wear jackets because the temperature was in the low 60s. And there was no thought of going in the water because the water was about 10 degrees warmer than the air and we would have developed hypothermia. But, sitting in the beach with friends enjoying the sun and waning rays of the afternoon sun is the perfect exclamation point to a great day. The beach was definitely not crowded as we were about the only crazies who ventured out--but it was worth the trip. The images were taken with my drone, Radio Flyer. It has become the ultimate selfie machine. 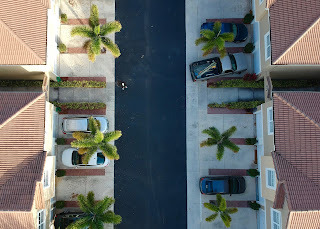 Earlier in the day, as I was flying around the neighborhood where we are staying, I managed to get a really interesting Birdseye view image of the street. I am barely visible in the image, but I thought the patterns of the homes and the palms made an interesting visual. I made a movie of the morning flight coming into the neighborhood. 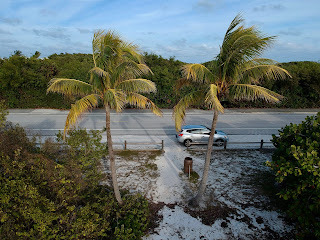 Friday was a great day and we started the evening with Happy Hour on the beach.